Today’s class will begin our formal work with Adobe Photoshop CS5. Create a folder called Photoshop Unit Images. For the next few classes, whenever I ask you to prepare/find/upload images to work on, save them in this folder. Create a second folder called Working Images. Every time you open an image you plan to work on in Photoshop the first think you must do is Save As, and title the image the same except add (working) to the file name. Unless told otherwise, save your image files as jpegs (jpg). 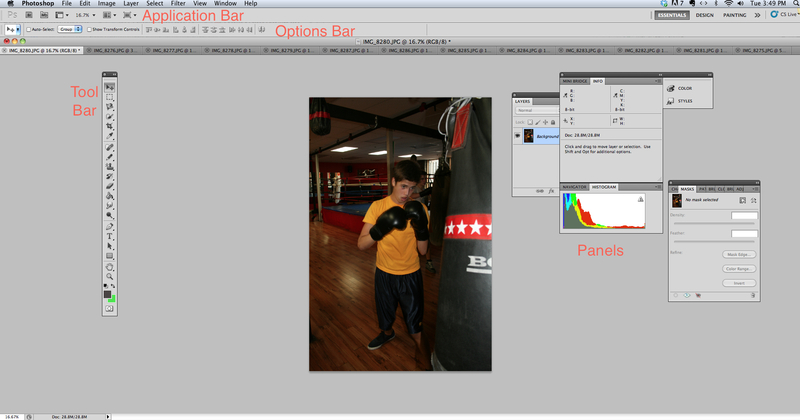 Exploring the workspace and the Image Menu: We will look at the different features using one image. Activity: Explore the RSGC Gallery and pick 4-5 images. Save them as instructed at the top of the blog post and experiment with image features/options. Tags: Adobe Photoshop, Image editing, Photoshop. Bookmark the permalink.